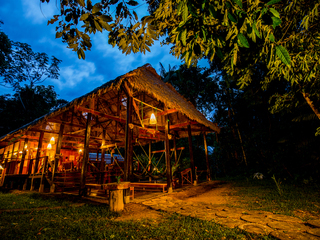 The Peru Nature Portfolio consists of several off-road lodges that lie within the Tambopata National Reserve, a vast nature reserve within the Peruvian Amazon basin. 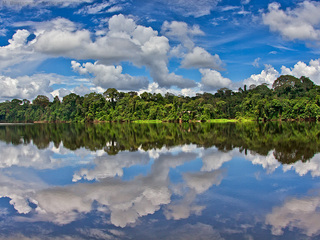 Of the several lodges in the chain, the Tambopata Research Centre is the most remote and secluded. 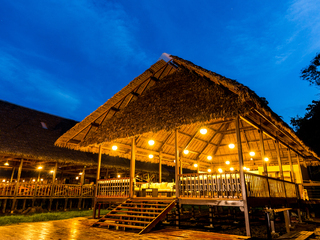 Due to the lodge’s out-of-the-way location, accessing it is very much part of the whole experience of staying here. 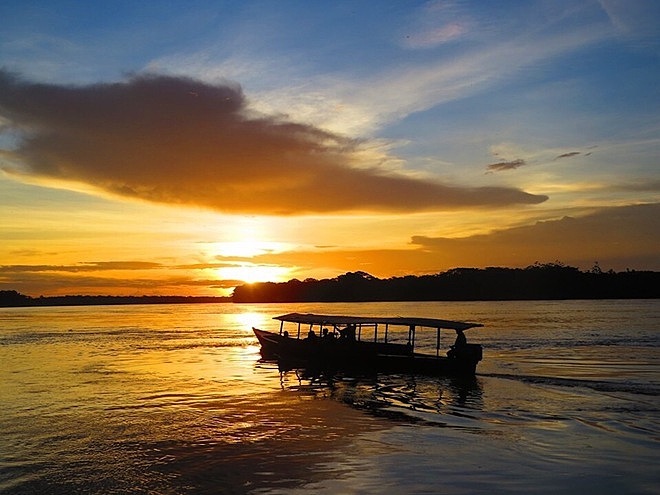 Guests first take a three-hour boat ride on motorised canoes up the Tambopata River to the Refugio Amazonas lodge, where they spend the night. 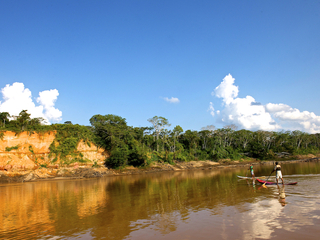 The following day, there’s a four-hour canoe trip to the Tambopata National Reserve. The journey is staggered to avoid having to traverse the river at night and so that guests can have a break in between the two canoe trips. There are a total of 24 rooms and suites at the lodge. All of them have been carefully designed to complement and respect the local environment, while at the same time providing plenty of comfort and convenience for guests. Amenities common to all four categories of room include a hot shower, eco-friendly toiletries, a mosquito net, umbrellas and slippers. Rooms open out on to the rainforest and guests can often spot various animals, such as monkeys, from the comfort of their own lodgings. Three meals a day are provided, featuring either Peruvian or international dishes. Water comes from a nearby underground spring; it’s boiled, filtered and then cooled down before being offered to guests. 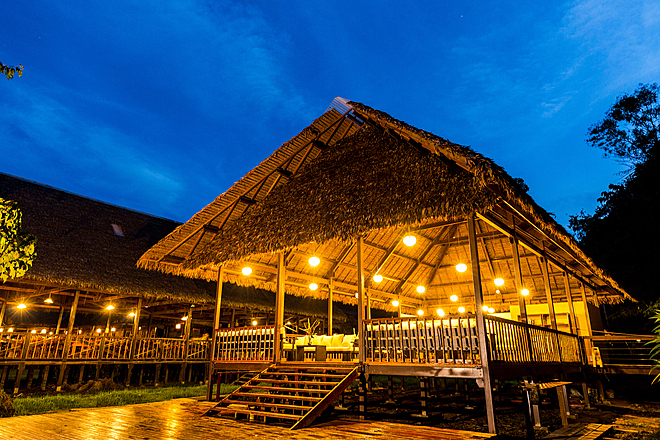 Staying here is all about being immersed in the unspoiled, raw natural beauty of the Amazon Rainforest. 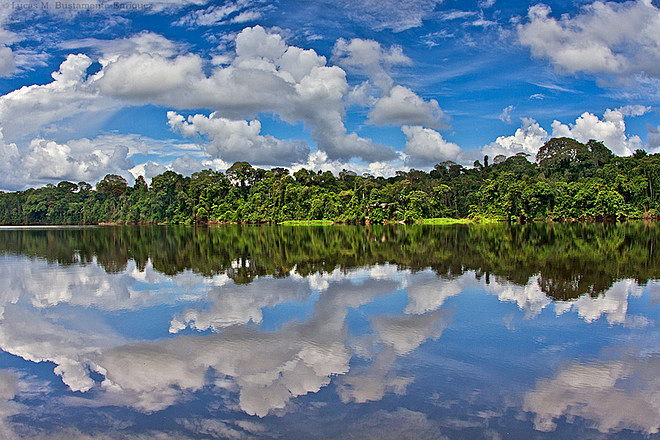 Whilst the rainforest and its native animal species constantly face threats from deforestation and logging, the area surrounding the lodge hasn’t experienced such threats for quite a few years now. As such, its ecosystem is fully intact and it has a thriving wildlife population, with a number of endangered species living in the area. 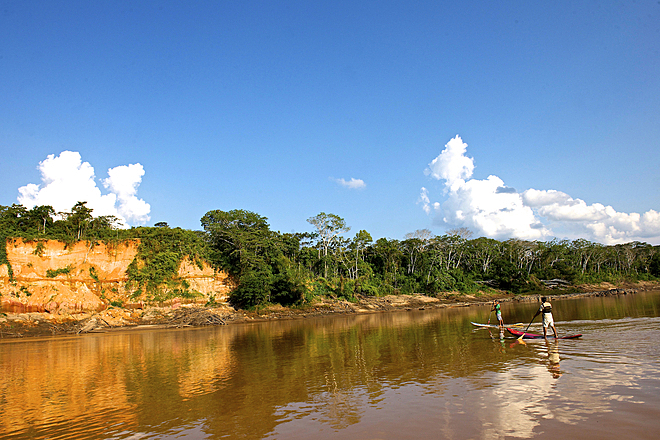 Guests can explore the unspoiled rainforest and discover its incredible biodiversity for themselves. There’s an exciting menu of activities available, ranging from visits to macaw clay licks and treks along floodplain trails, to night time jungle treks and walks to a nearby palm swamp. 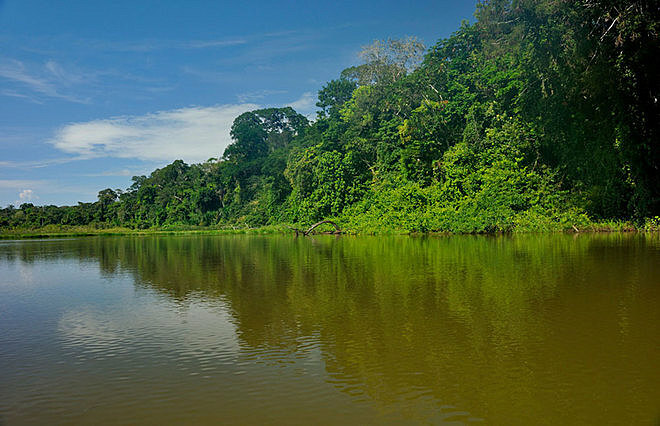 A stay here provides the unrivalled opportunity to explore a unique part of this vast rainforest that’s particularly well preserved and unspoiled. While the group excursions are highly recommended, private excursions are also available for an extra charge. Despite its remote location, the lodge does welcome children, although there are no designated child facilities on offer. 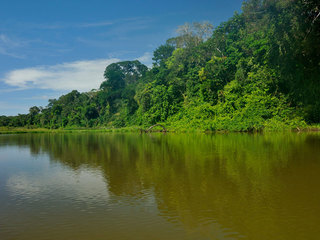 Parents should bear in mind that there's an adventurous journey to reach the reserve, and that children must be supervised at all times due to the property's open location out in a rainforest.